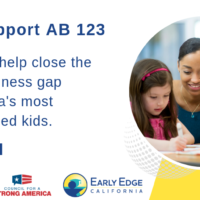 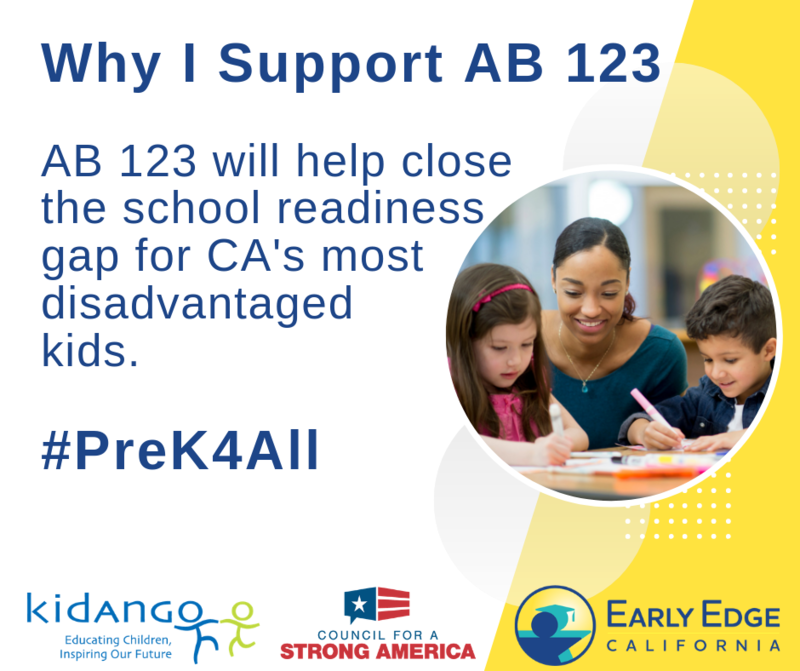 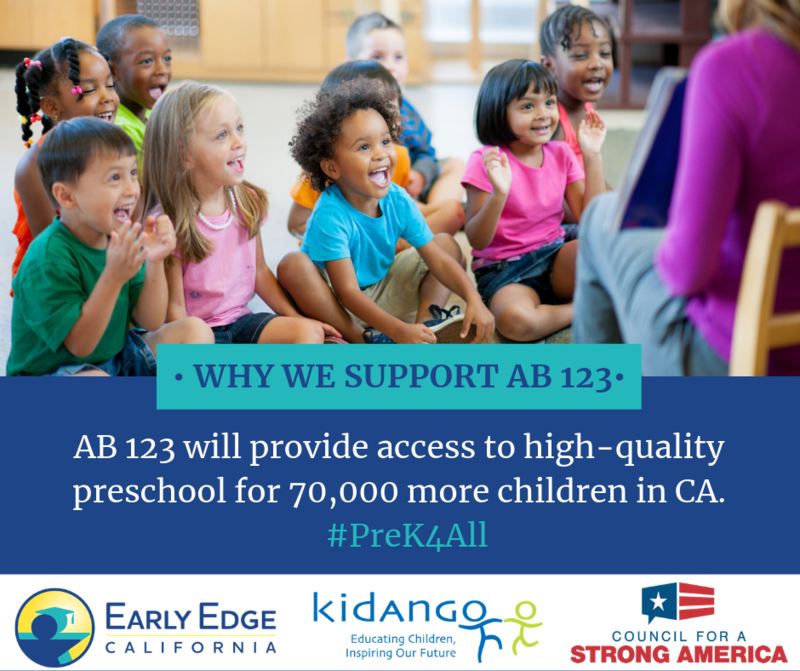 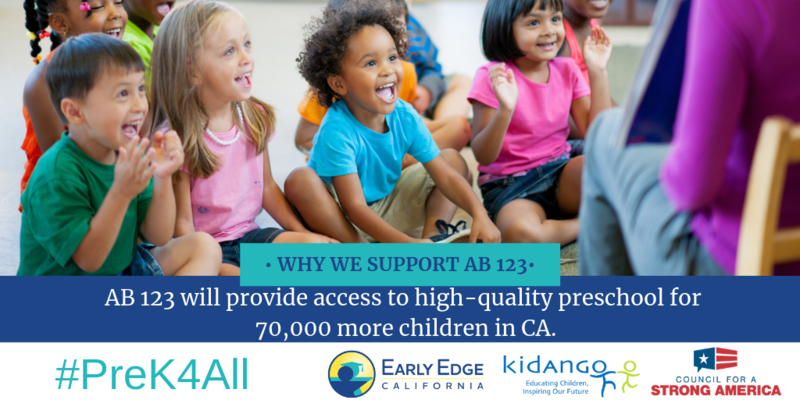 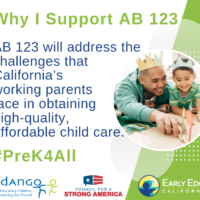 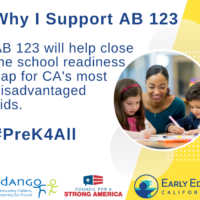 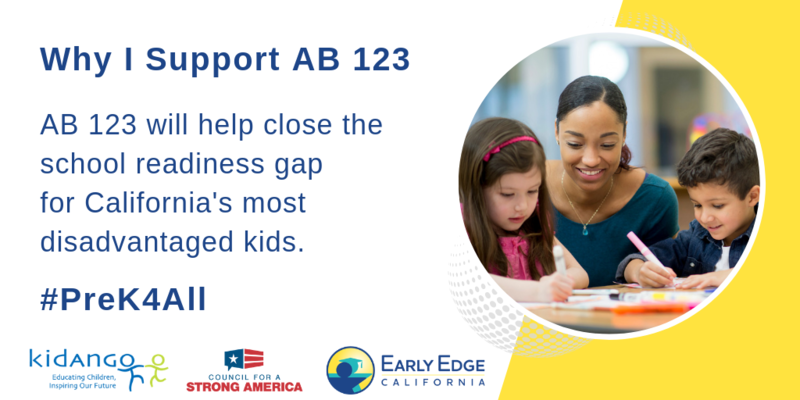 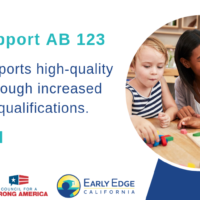 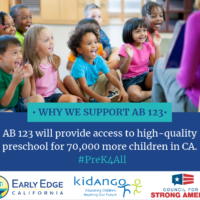 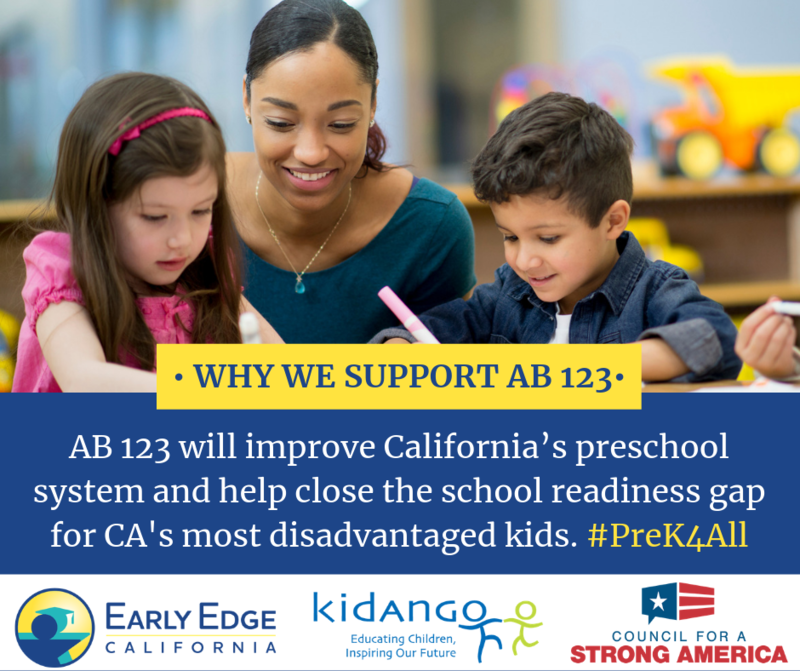 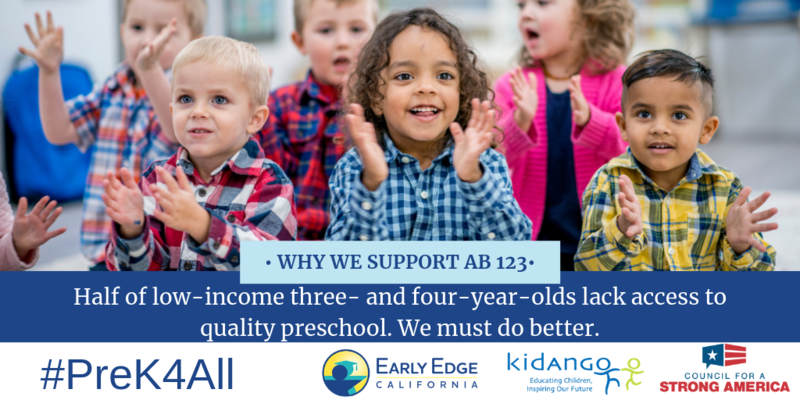 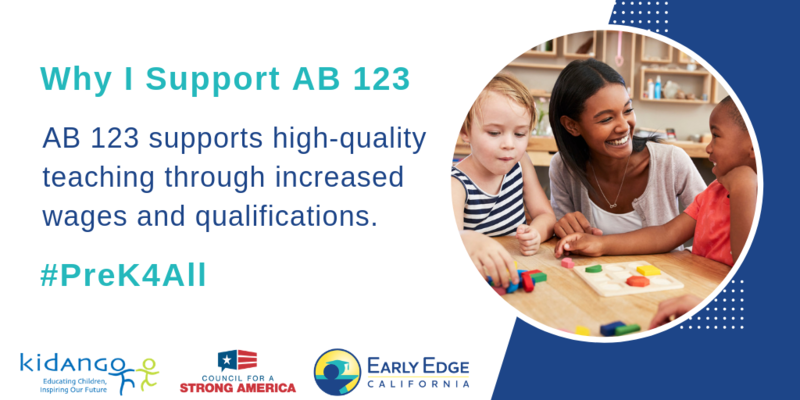 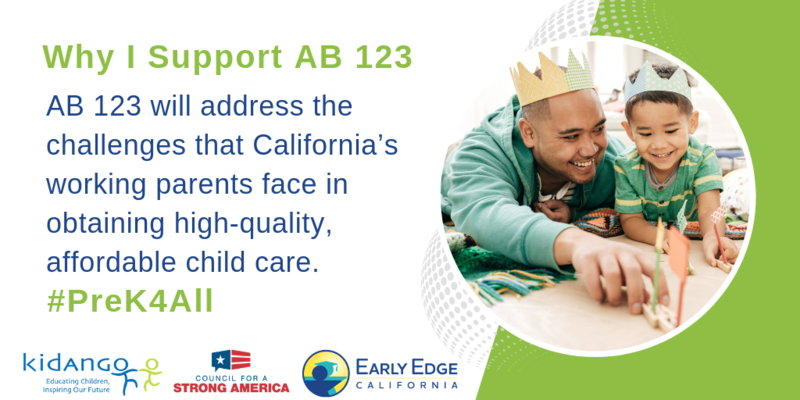 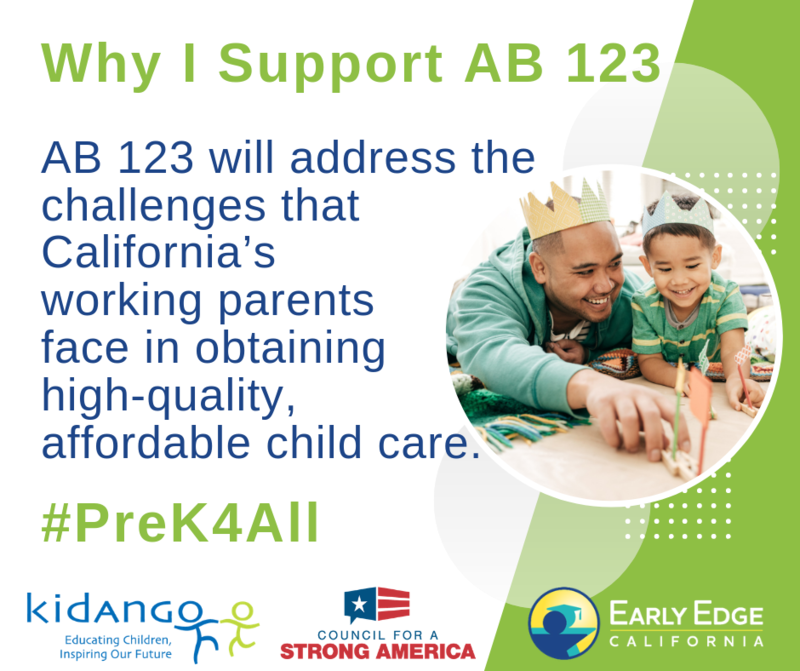 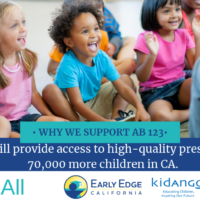 Early Edge California is proud to co-sponsor AB 123, the Preschool for All Bill. 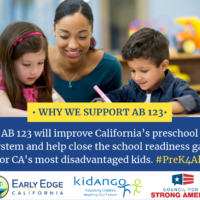 Facebook: To share on Facebook, click on the image and right click to save. 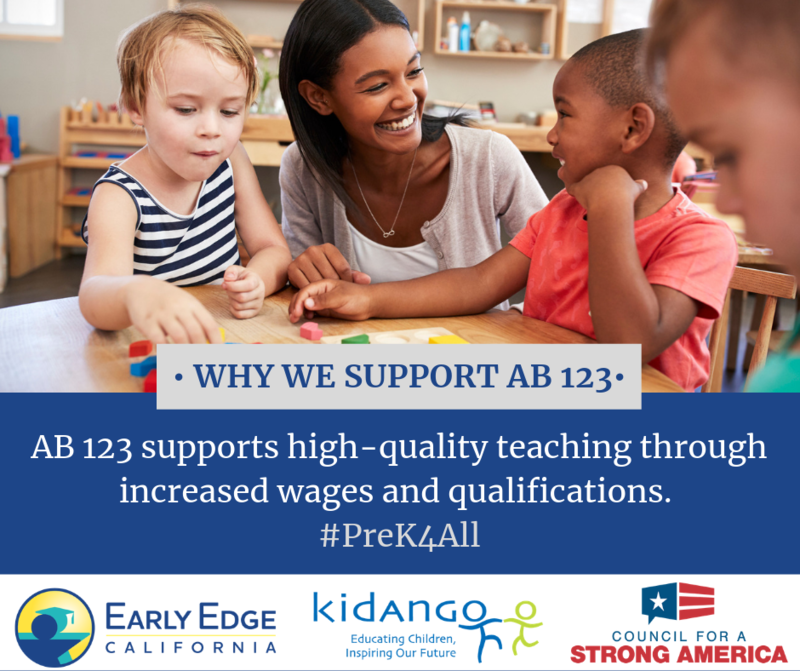 Then share on your page with the hashtag #PreK4All. 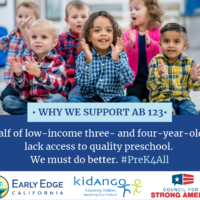 Twitter: To share on Twitter, click on the image and right click to save. 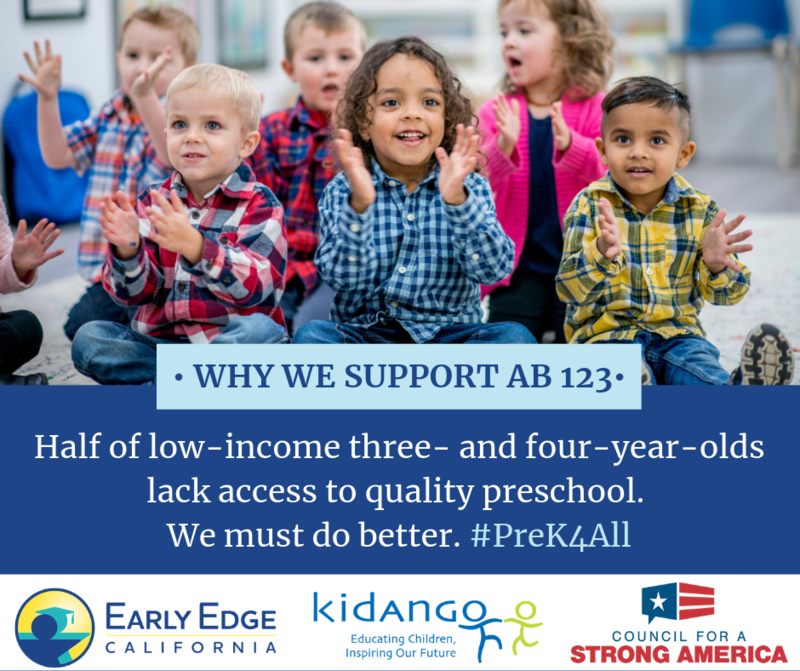 Then share on your page with the hashtag #PreK4All. 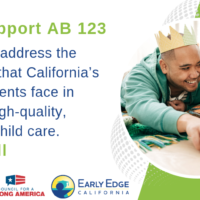 Track this bill: To track bills, visit the California Legislative Information Inquiry System. 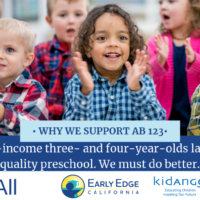 Once you have created an account, you can click on the “My Subscriptions” tab to be notified of any hearings, amendments, and actions taken on AB 123.